This Dec. 11, 2017, file photo shows Kevin Hart at the premiere of Columbia Pictures' "Jumanji: Welcome To The Jungle" in Hollywood, California. 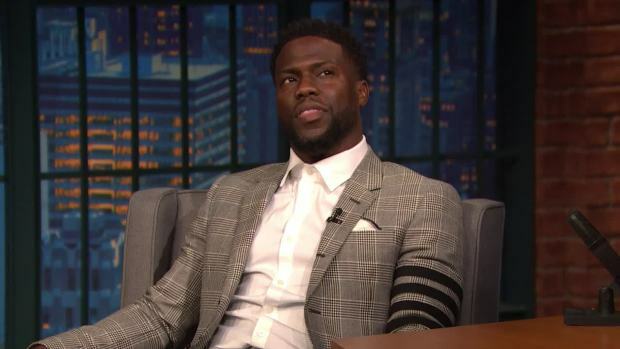 Kevin Hart apologized again on Monday amid backlash over homophobic comments the comedian made nearly a decade ago. "I will say this, and I want to make this very clear," Hart said during his SiriusXM show "Straight to the Hart." 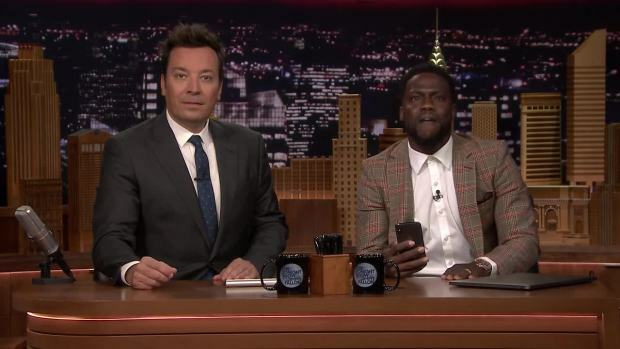 "Once again, Kevin Hart apologizes for his remarks that hurt members of the LGBTQ community. I apologize." Hart's 2010 comments about fearing his son might be gay resurfaced on social media last month shortly after it was announced that the comedian would host this year's Oscars, sparking outrage. Hart initially refused to apologize, saying in a video on Instagram on Dec. 6 that the Academy of Motion Pictures Arts and Sciences gave him an ultimatum: apologize or "we're going to have to move on and find another host." Hours later, he did apologize to the LGBTQ community while also announcing that he had bowed out as Oscars host because he didn't want to be a distraction. 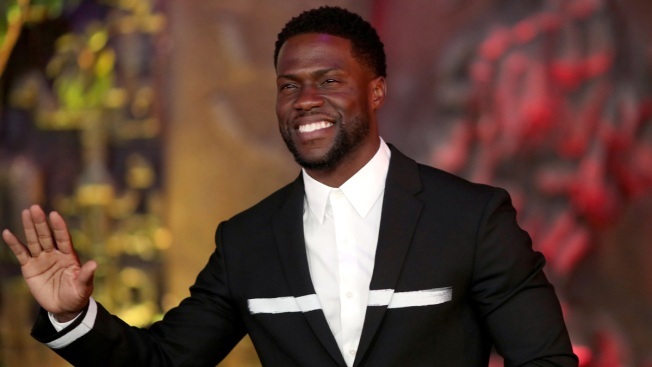 Last week, Hart said he was re-evaluating his decision after fellow comedian Ellen DeGeneres revealed she reached out to the Academy on his behalf and they said they’re still interested in Hart for the job. On his SiriusXM show Monday, Hart began a lengthy discussion about the fallout by saying that he went back and looked at his joke from his 2010 comedy special "Seriously Funny," where he had said that he wasn't homophobic but feared his son being gay. In the bit, Hart described seeing another boy "grinding" on his son at a birthday party and joked that his response to knock them both down. “I don’t have a homophobic bone in my body," Hart recalled Monday about what he said to set up the bit. "I want you to be happy, be gay, be happy. ... And then I say as a heterosexual male, if I can do something to stop my son -- that's where the joke starts." Hart expressed frustration that "the only clip" that gets played in the media is the part where he says, "stop, that's gay," and went on to talk about where he was coming from with past offensive tweets as well. In the tweets, many of which have been deleted but were screen-captured and shared online, Hart wrote about not wanting his son to play with his daughter's dollhouse because "that's gay" and posting that someone resembled a "gay billboard for AIDS." "I understand why people are hurt," Hart said Monday. "I understand what these words mean. I'm sorry. I wrote it. I said it. I know I did." He said that he was riffing with his friends back then and wouldn't talk like that now. "At the time this was our dumb asses on Twitter going back and forth. Because we thought it was OK to talk like that because that's how we talk to one another," he said. "This is wrong now," Hart said, "because now we’re in a space where I’m around people of the LGBTQ community, and I’m now aware of how these words make them feel." As a result, Hart said he makes sure not to speak that way in his comedy act anymore or post similar content on social media. But he argued that those who have been critical of his apologies have not had "an acceptance of change." He said that apologizing that, "I'm now moving on from this because I'm just hoping that the apology is accepted. If it's chosen not to be accepted, I can't control that." Hart's friends on the show said they would still like him to host the Oscars, but Hart indicated that was unlikely given his schedule. "I got two weeks. I don't have time to prepare and do it correctly," he said.